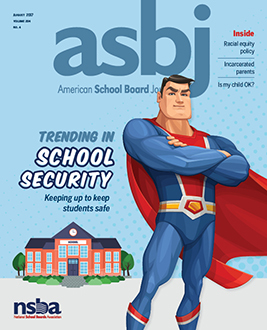 We help you wade through the noise and the fads of school security in this issue of ASBJ. Our cover story, “Trending in School Security,” offers up a solid look at cutting-edge, and tried-and-true, ways to keep your students and staff safe at school. Explore the latest education trends. Every school in every area of the country serves vastly different students and communities. A principal has a pivotal role in the success of any school. Differentiated or personalized instruction is a common practice in many schools. Great things are happening in districts across the country. ASBJ shines light on your success stories in this topical archive.